Hello fellow reader, how's life? Things getting little bit changed past week, now I barely can't post everyday. However, I will write a review for you culinary lover. This time I won't post everything I had experienced but much likely you will like and choose for hanging out (especially around Kelapa Gading area). Here you go! 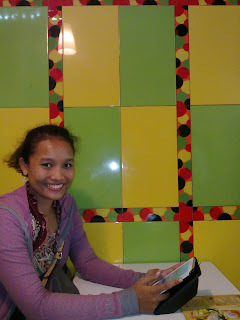 Hana, my dear Jakarta explorer, invited me to have another journey exploring Northern area of Jakarta. 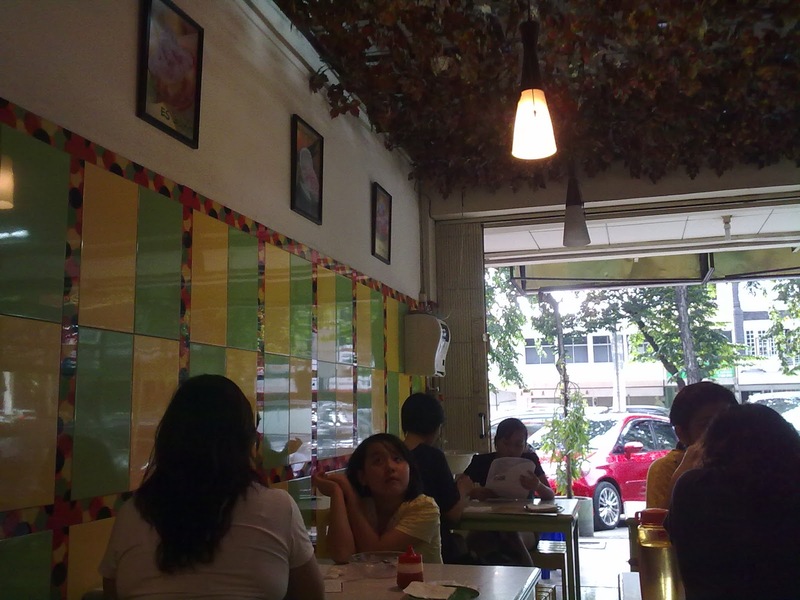 First, we had our lunch in Rawamangun area, and continued our journey to Kelapa Gading Mall (MKG) to hang-out since it had been so looong century not visiting our memorial hang-out place after our class during University period. After several laps around the mall (phew) we discussed other destination to go. She suggested 'Pisang Ijo Pemuda'. Never heard before. 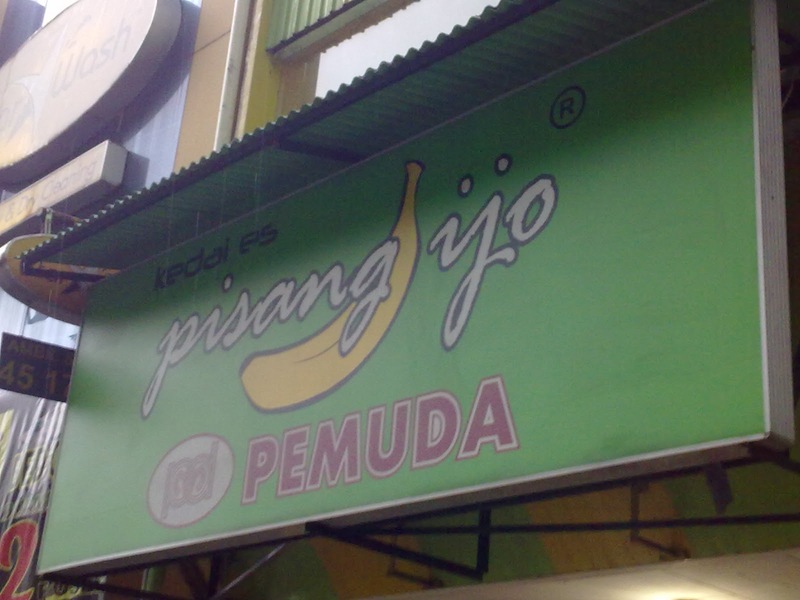 Is it the same with another Pisang Hijau stall? Nope. This (should I say, cafe?) 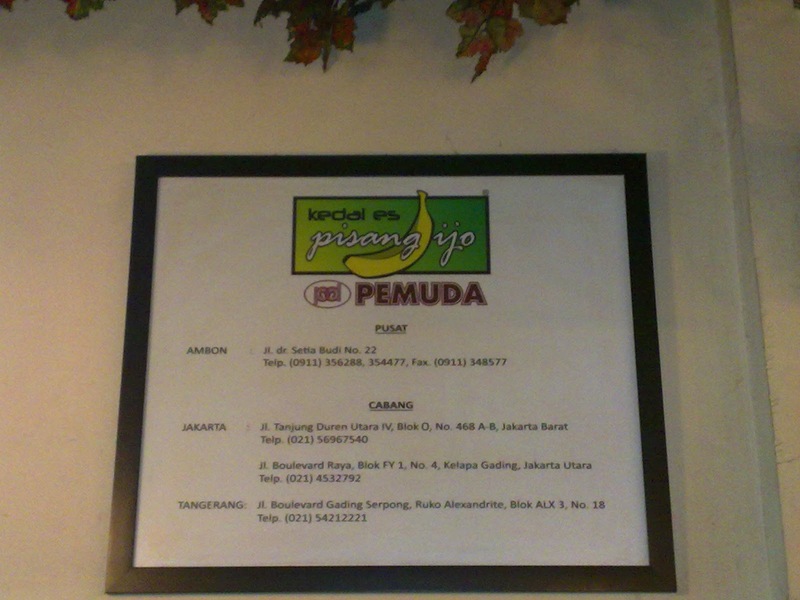 restaurant located in the heart of Boulevard Kelapa Gading. Emm....around 500 M from La Piazza on the east-side of the road. 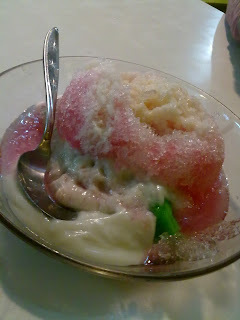 Their main course (of course) Pisang Ijo, an Ambonese-sweet made from Pisang covered with rice-flour. Yummy. 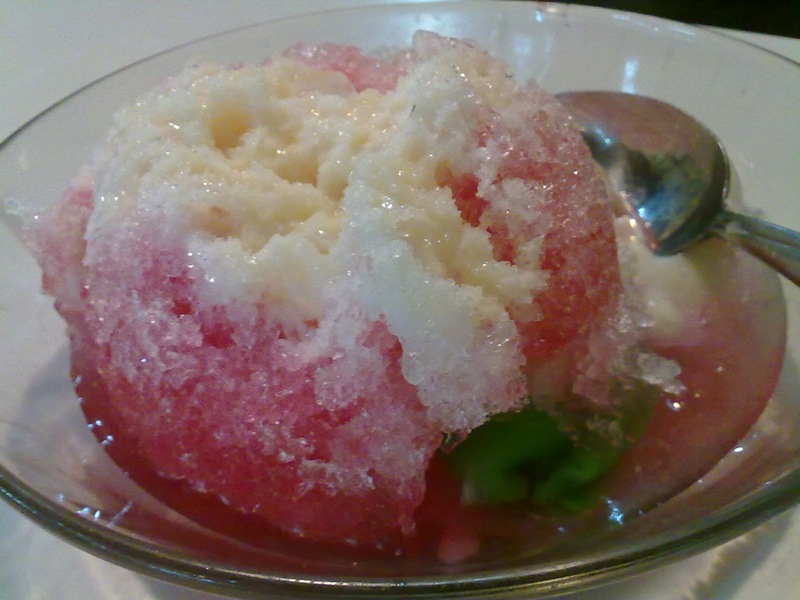 The Pisang Ijo itself, wow, is big enough for 2 persons. However, because both of us are sweet-addicted and (still) hungry, we decided to buy one portion per person. The price? Hmmm, if you compare to street stall then it's little bit expensive which costs IDR 17.000 per portion. But the size, hmmm, JUMBO. They also have another menu instead of Pisang Hijau. Another snacks such fried spring rolls and siomay are available at he counter. Good offering for those who don't like sweets. 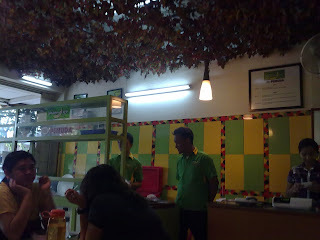 The ambiance itself is cozy and simple with yellow-green nuance. Hana said other outlets also have the same concept, so even though you buy the menu on Ambon / main store, you will have the same interior design, hahaha.